We provide Business Cards with our Website Address for handing out to patients. This will help you save time, while giving your patients access to all relevant information concerning glaucoma. As a BGS member you can order free packs of 75 cards here. Booklets with a summary of the “Information for Patients” section of this website are available in Dutch or French. BGS members can order free copies here. 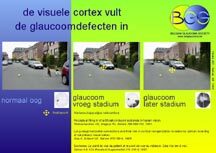 As a BGS member you can order free copies of plastic-coated high quality prints in A4 format here, to help you explain to the patient how visual field defects are filled-in by the brain. The prints are double-sided, Dutch version on one side, French version on the other. Click on the PDF-file for the science behind the prints. 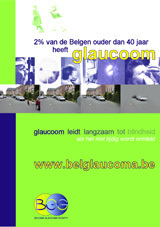 Our posters are printed in A2 format and are double-sided, Dutch version on one side and French version on the other. 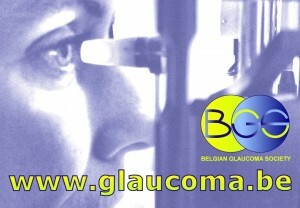 Informed Consents for glaucoma laser therapy and surgery are available here.